T-Bird came to the Humane Rescue Alliance when an Animal Control Officer found him as a stray in a yard next to a vacant building. A very active dog, T-Bird loves to go on walks and see what the world has to offer. T-Bird is a big boy and likes to fly solo, so he would be best in a home without small children and without other pets. At almost seven-years-old, T-Bird is simply ready to find his forever home where he can relax, go for long walks and hang out with his new people. T-Bird has been lovingly sponsored by an HRA donor, so his adoption fee has been waived for qualified adopters. Head out to our Oglethorpe Street Adoption Center and meet T-Bird today, because he can’t wait to meet you! Wisteria has a beautiful name to suit her beautiful personality! 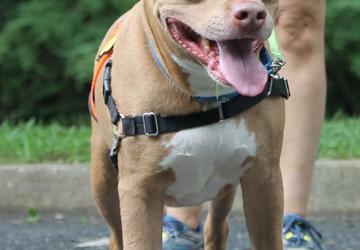 She came to the Humane Rescue Alliance when her owner could no longer care for her. 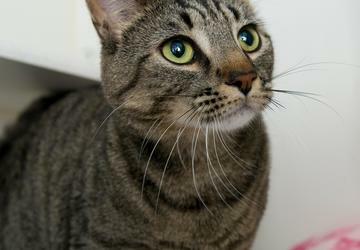 Wisteria is a very affectionate kitty, but would love to have a home where she is the only cat. 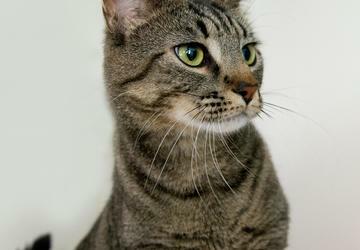 Wisteria is also lap-loving girl who enjoys lots of attention and petting. She likes to make it known that she has lots of love to give! Wisteria is a Hidden Gem, which means she gets her very own volunteers who spend extra time with her to work on basic training needs. 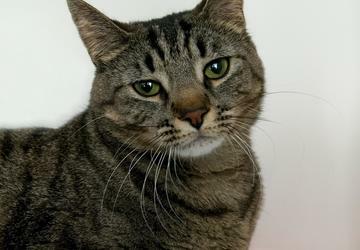 And, because she has been at the shelter for a little bit longer than her friends, staff have had the opportunity to get to know Wisteria very well, and they will gladly answer any questions you may have. As an extra "thank you" for considering taking Wisteria home, her adoption fee has been waived! Head to the Oglethorpe Street Adoption Center and meet Wisteria today!